Most people overlook health-savings accounts, or HSAs, as a retirement-savings vehicle. But these accounts, which were authorized in 2003, come with more tax advantages than 401(k)s and individual retirement accounts when used to cover medical costs, which are a major expense in retirement. “It’s the most tax-preferred account available,” says Michael Kitces,director of financial planning at Pinnacle Advisory Group Inc. in Columbia, Md. “Using one to save for retirement medical expenses is a better strategy than using retirement accounts” to cover those expenses, he says. 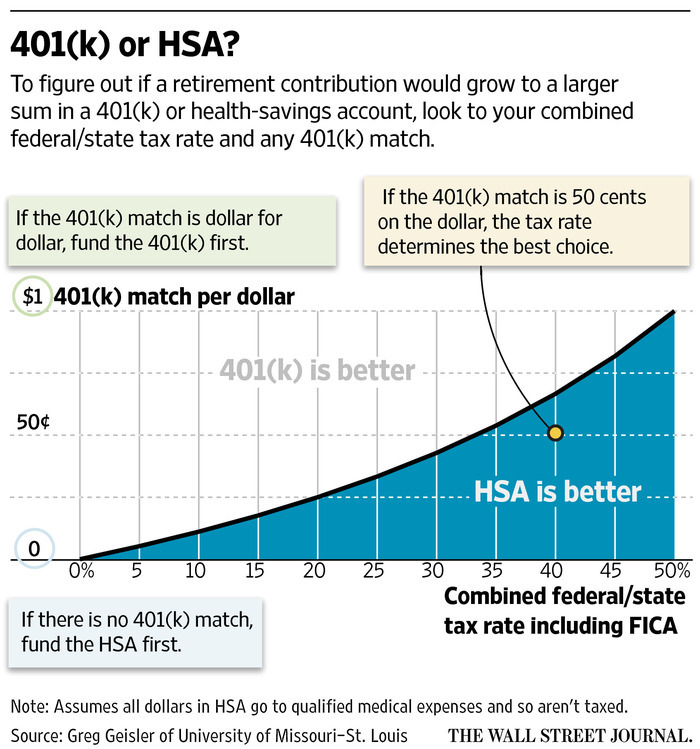 As with a traditional 401(k) or IRA, an HSA allows you to set aside pretax money without paying federal or state income tax on it. Most people who contribute through payroll deductions also save 7.65% in FICA tax, which finances Social Security and Medicare.